Nationally, 50% of foster families quit either after the first year or after their first placement, primarily because they didn’t feel supported. The Care Communities model, adapted from Promise686, has been proven to retain up to 90% of those foster parents. A team, much like extended family, of 6-8 committed volunteers who wrap around a foster, adoptive, or Safe Families Host family and their children. They offer emotional, spritiual, and practical support. The team provides regular and ongoing practical help such as meals, tutoring, childcare, laundry, yard work, etc. Members can choose which roles they want to play in the Care Community and are assigned to a family who is geographically nearby, not more than a 15 minute drive. How can my church get engaged? 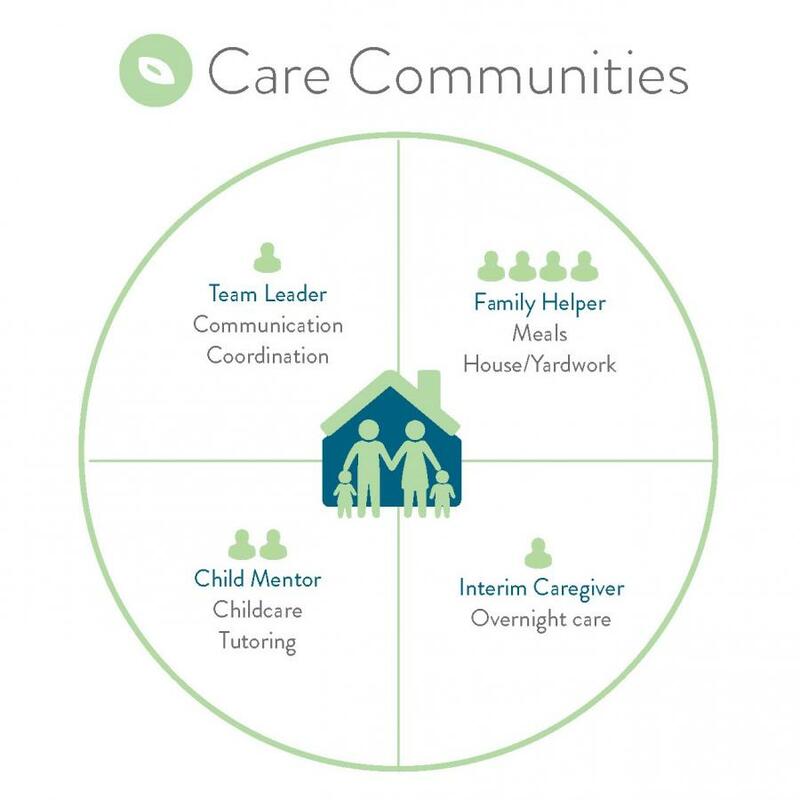 What are the roles of members of the Care Community? Family Helpers: Usually four people who provide a meal once a month, ensuring the family receives a meal once a week. Ideally these would be provided on the same night each week. Family helpers can do other tasks that line up with their skills and the needs of the family such as lawn maintenance, running errands, etc. Interim Caregiver: An interim caregiver, after building a relationship with the family and child, commits to providing periodic overnight care for the child. This involves fingerprinting and approval through the local DCS office. Team Leader: A volunteer who acts as a liaison, communicating the needs of the foster family to the rest of the Care Community.